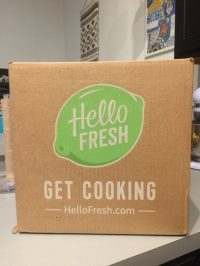 HelloFresh is a very popular and well know meal kit delivery service established in 2011, that is focused on sending farm fresh, top-quality meals to their customers at an affordable price. Their recipes are done in about 30 minutes and they all have just 6 simple steps to your delicious dinner. 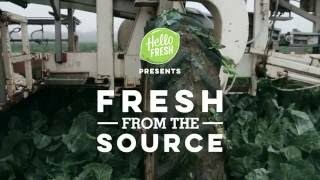 All of their meals are farm fresh, balanced, nutritious, and include Hall of Fame Customer Favorites, premium, vegetarian, and kid-friendly recipe options. Being one of the largest in this market they have branches in the United States, United Kingdom, Germany, Austria and throughout Europe. One of the original meal delivery kit services that brings you exceptionally fresh produce, meats and more. You can choose from their classic meal plan, vegetarian plan, and their family plan. Their classic meal plan offers 8 meals to choose from per week. There is a great selection to choose from, although it can be a little limited with options. You can choose from foods like pasta dishes, steak, pork chops, fun burger combinations, tacos, stews, and tons more. 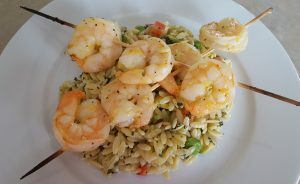 Dishes are familiar, but they offer a unique and different spin so you are always cooking with fun and unique flavor combination you would not normally use. The vegetarian option has all veggie-based meals, and the family plan has family-friendly meal options that are great for kids – mac and cheese, burgers, meatloaf, and baked chicken dishes are some examples. They also have egg-free, nut-free, and dairy-free meals. The vegetarian meal plan is a great idea, but they only offer 3 meal options per week, which is hardly anything. 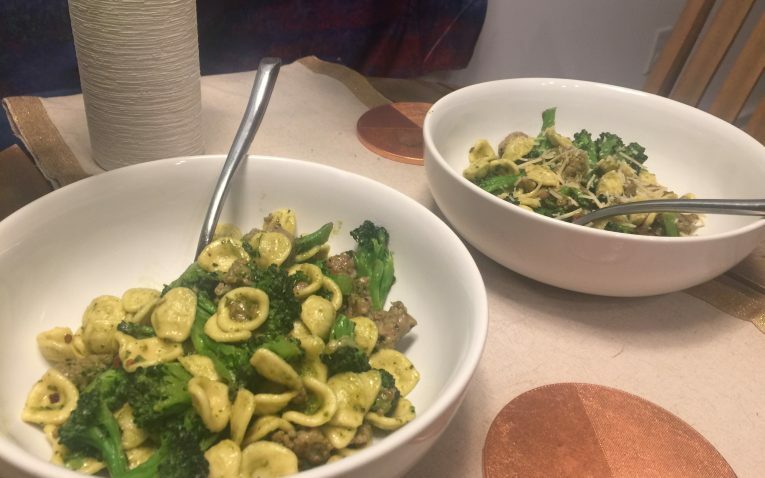 Essentially, you will have to always like every single dish they have on their menu for the week, otherwise, you will not have any other options. 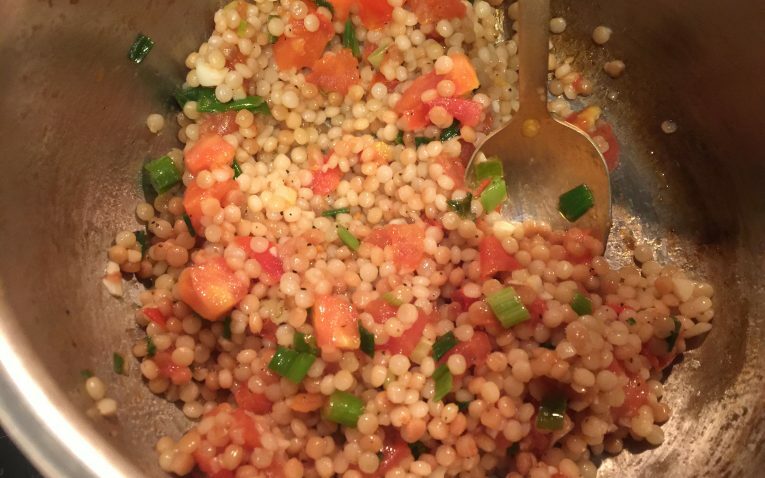 The recipes do look delicious, but you can’t be a picky eater. They also don’t have any vegan options. 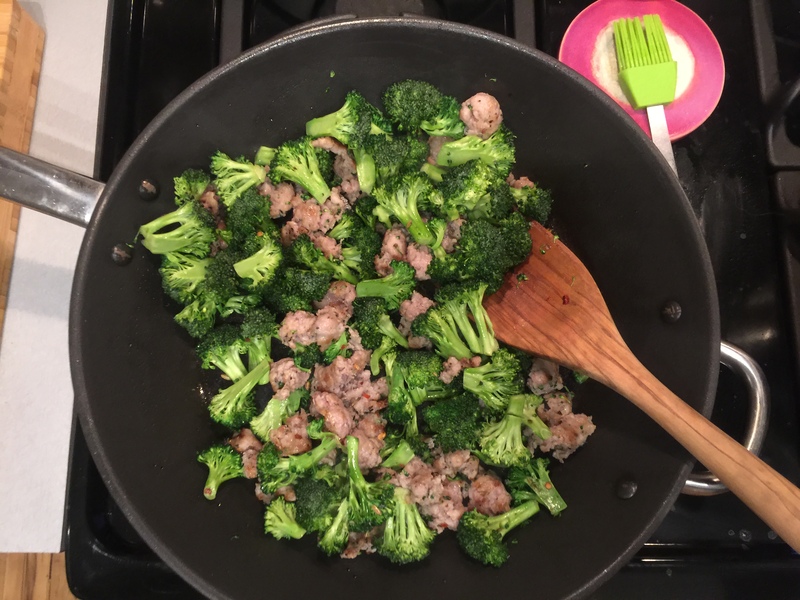 The family plan only has 5 meals per week to choose from, which is a decent amount, but still more limiting than the classic meal plan. If you have particularly picky children, finding dinner option for them could present an issue. With HelloFresh, you can skip as many weeks as you want from your laptop or your phone app. You are not committed to any specific amount of weeks. Skipping a week is as easy as the click of a button. You can also choose to cancel your plan at any time without having to call customer support. All you have to do is go into your account, click on their cancel plan button, it will ask you why you are canceling, and then you simply deactivate your plan. You can reactive at any time in the future with their easy to use reactivate button. 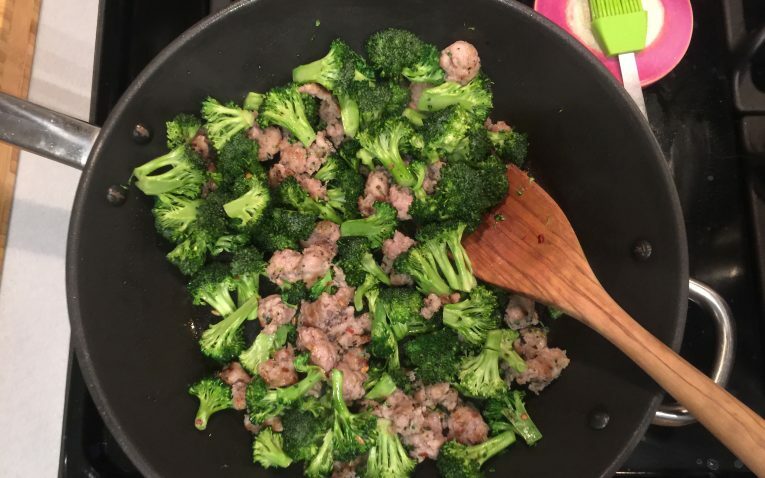 As far as flexibility with meal options go, you can choose any combination of meals from the classic meal plan, vegetarian meal plan, and the family meal plan. This allows you access to 15 meal options, vegetarian options, and traditional family-style comfort foods! Vegetarians do not have a lot of meal flexibility – they must choose the 3 meals offered and like them, otherwise, they may have to skip weeks where they don’t like the options offered. Furthermore, the family plan is a little bit limited, but also caps out at 2 adults and 2 children, so larger families don’t have a ton of flexibility. 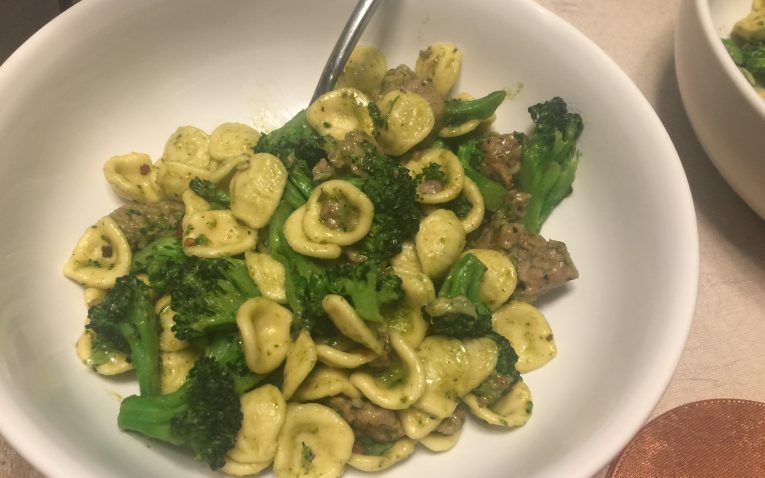 I personally think there are a good variety of meal options to choose from, at least if you are not vegetarian, don’t have any allergies, and like to experiment a little bit with flavor profiles, but not with anything super crazy. 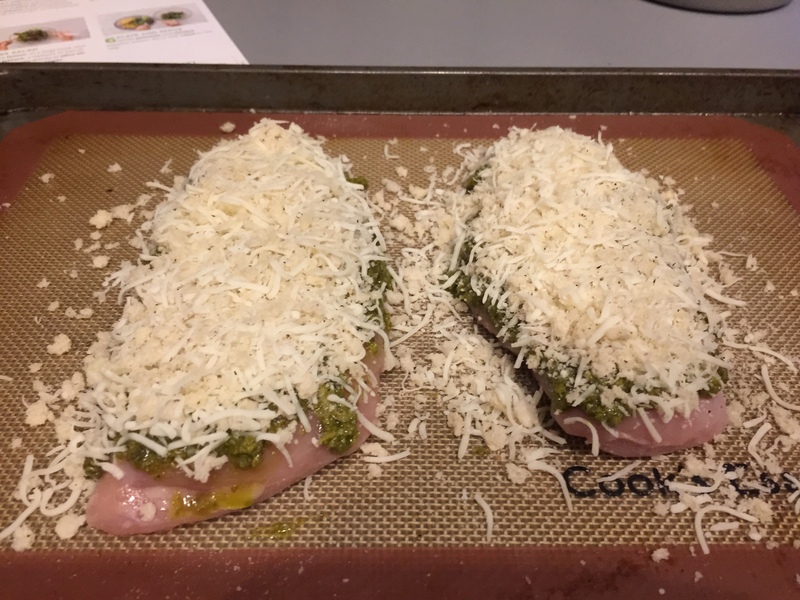 They have familiar recipes like burgers, pasta, steak and potato dishes, baked chicken and roasted potatoes, fish, tacos, etc., but they also have a fun twist in the recipe. 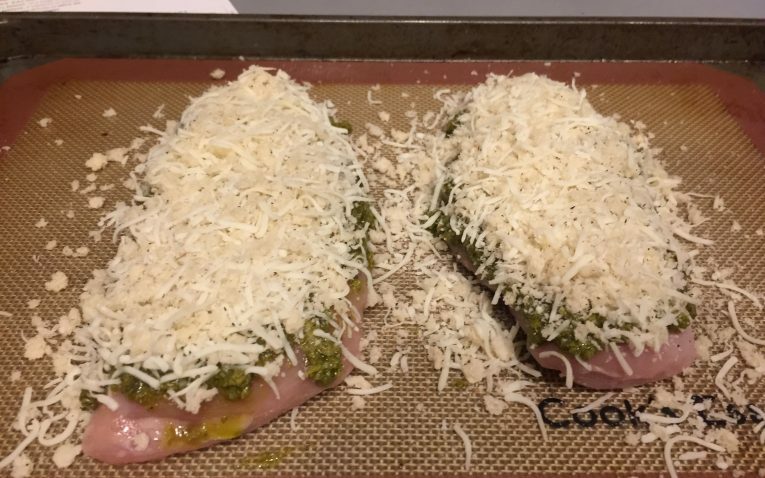 For instance, baked chicken is topped with basil pesto and a mozzarella and panko crust to elevate the dish to something more interesting. It is a good combination of simple and classic and experimental. 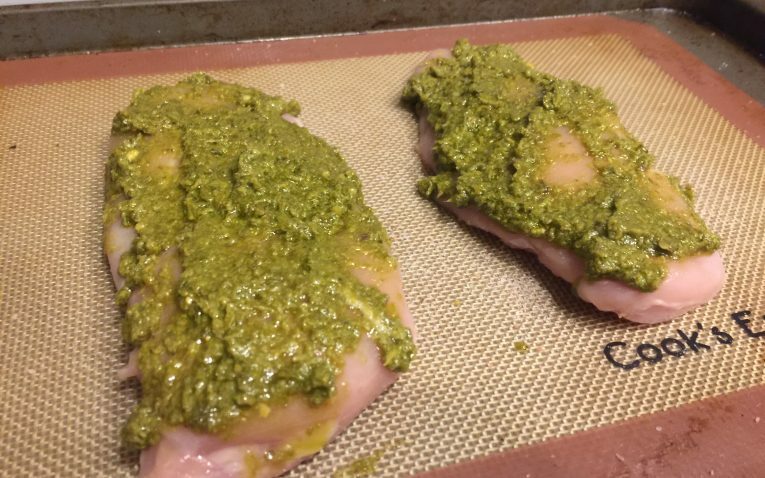 They like to use a lot of fresh herbs and spices, which I love in my meals and can really make a dish pop. 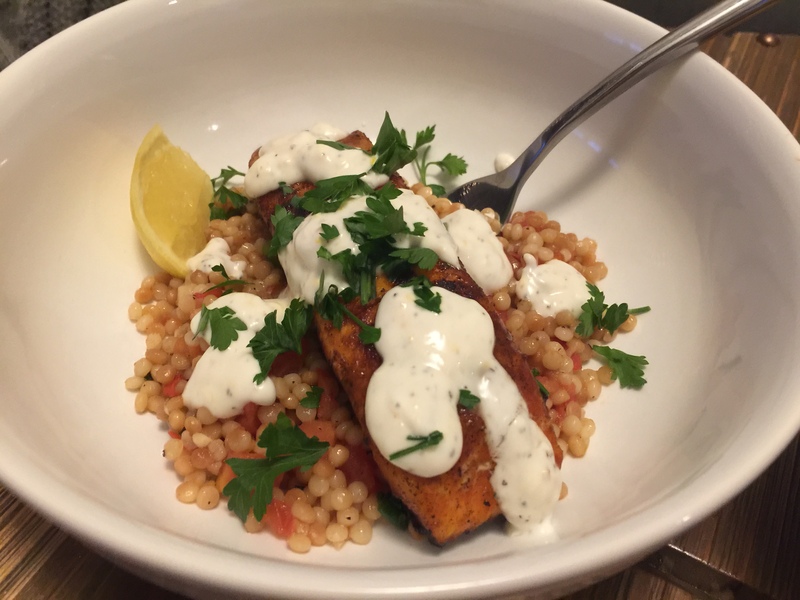 Overall, I didn’t personally struggle to find recipes I wanted to try. I am a pretty adventurous eater, so I would have loved to see a few recipes that were a little bit more unique and experimental. Whether that is unconventional spices, veggies that are uncommon, or more international-based dishes, it would be nice to see more of those meal options. They do not seem to use any non-GMO or organic fruits, veggies, meats, etc. because everything in my box was conventionally grown. 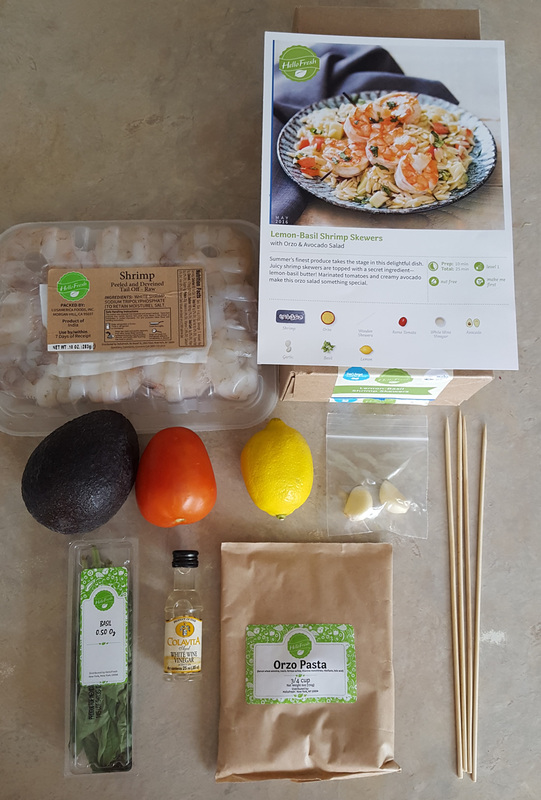 This may not be a huge deal for many people, but it is always nice when meal kits include some of these organic ingredients. 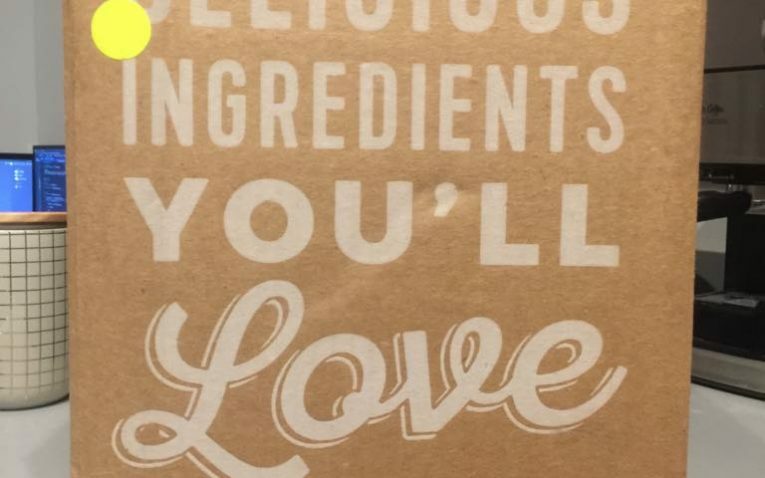 I also had some issues with the freshness of ingredients in my box. The tomato included for my salmon dish was mushy and mealy – I had to use one of my own tomatoes to replace the one they gave me as it was inedible. The greens for the salad with my baked chicken dish were also a bit limp and wilted. 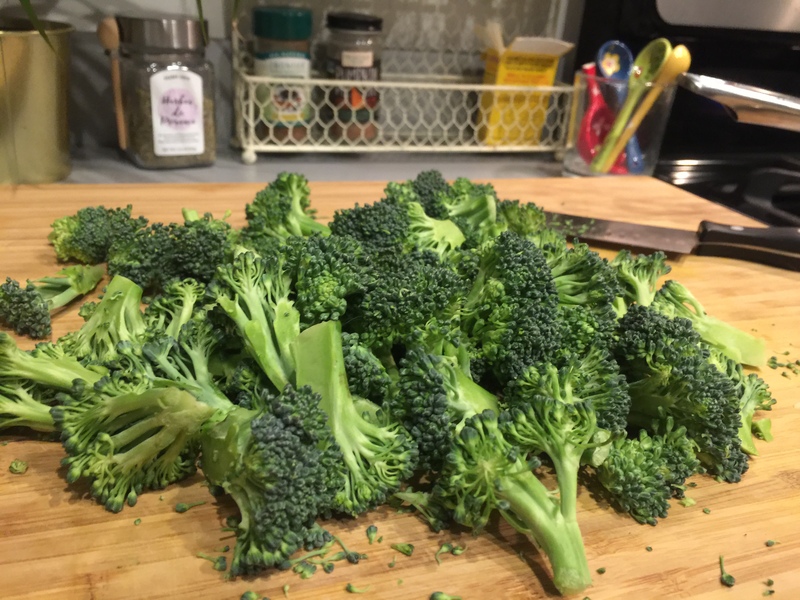 They were not inedible, but they also were not crisp and fresh like greens should be. 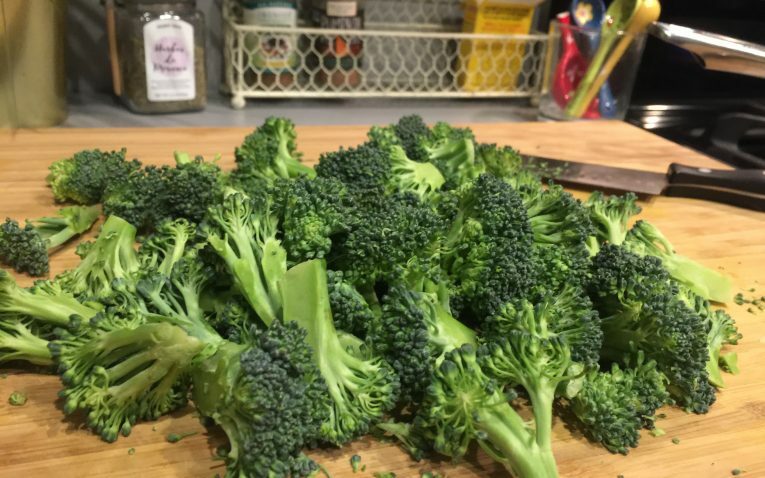 The lack of freshness with these veggies was a little disappointing. 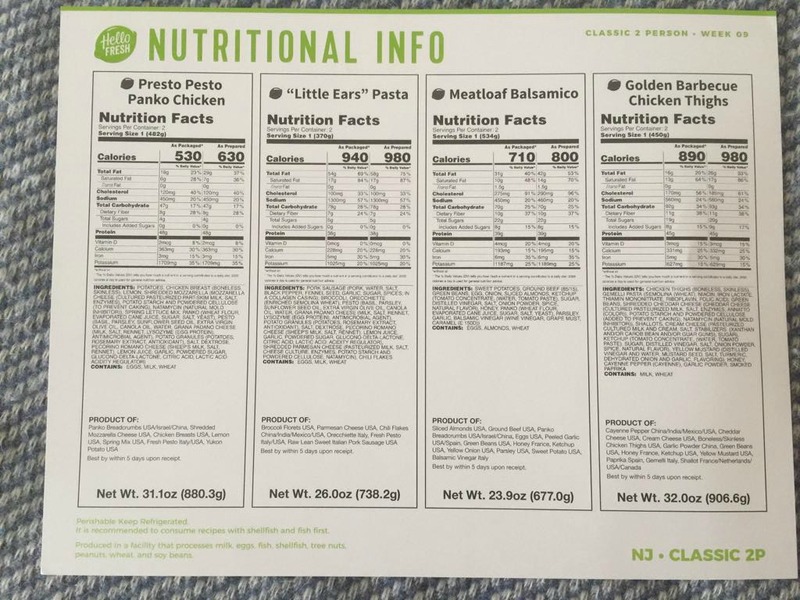 For the week of meals I reviewed, I also found their calorie counts to be very high. 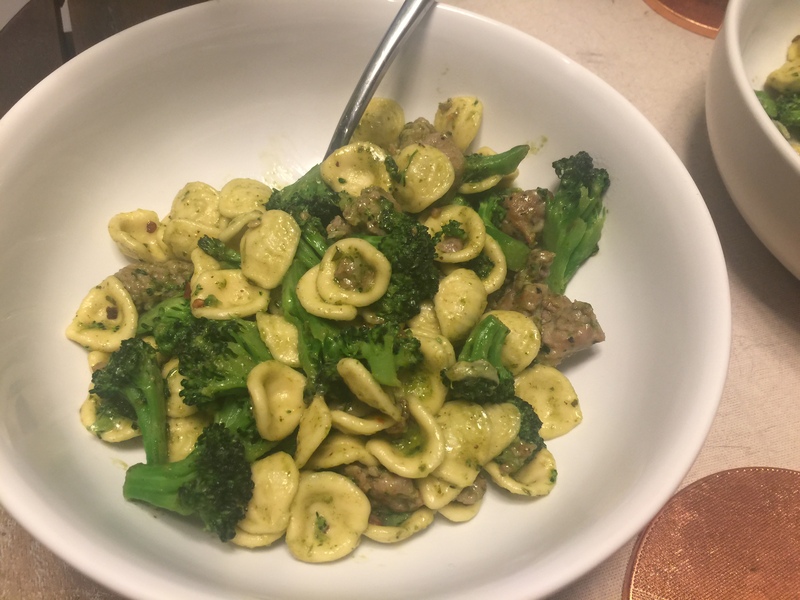 I like my dinners to be lighter and healthy, and while none of the meals were, “unhealthy,” calories ranged from 560-1180 calories. 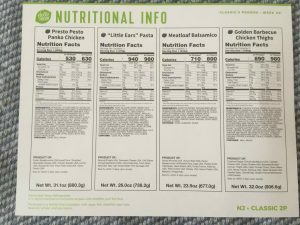 If you are choosing meals in the 800-1000 calorie range, that is approaching a full day’s worth of calories for some people, especially if you are on a diet or watching your calorie intake. 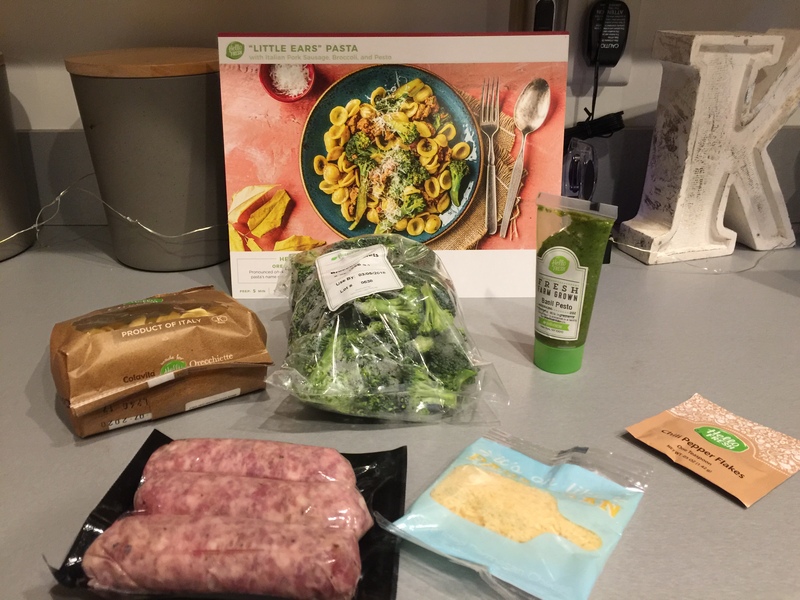 HelloFresh is relatively inexpensive when you compare them to the competition. 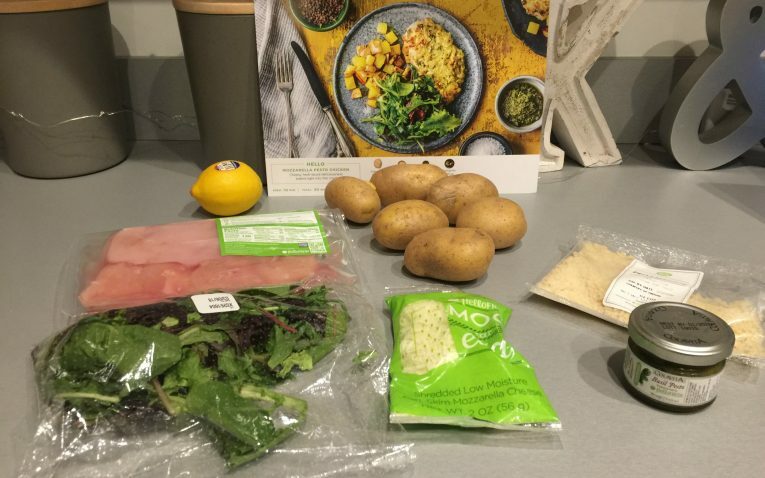 The Veggie Box averages $9.99 per meal, Classic Box averages $9.99 per meal, and the Family Box averages $8.74 per meal. All shipping is always free as well! For 2 people for the Veggie and Classic plan with 3 meals, it totals $59 per week. If you go with the classic plan for 2 people with 2 meals per week, they will charge you extra for shipping at $7.99. 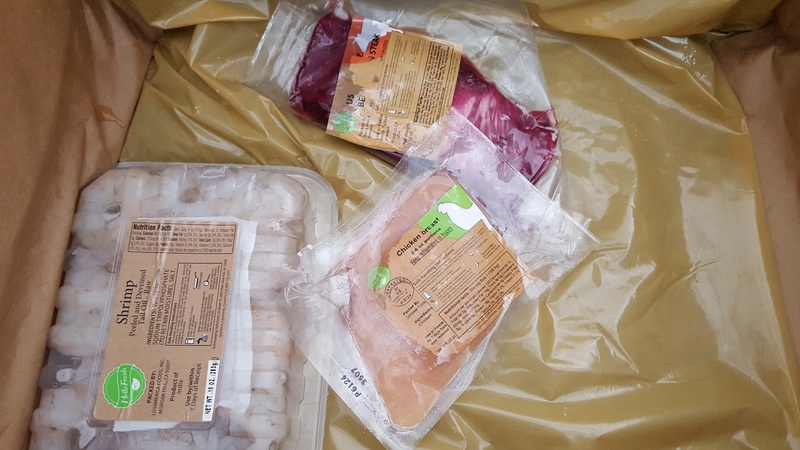 Also, if you choose one of their Premium Meals for the week, which often include proteins like steak and duck, it will charge you an extra $5.00 per person per meal. Most other meal kits do not charge extra for proteins like steak, so that is definitely a drawback for HelloFresh. 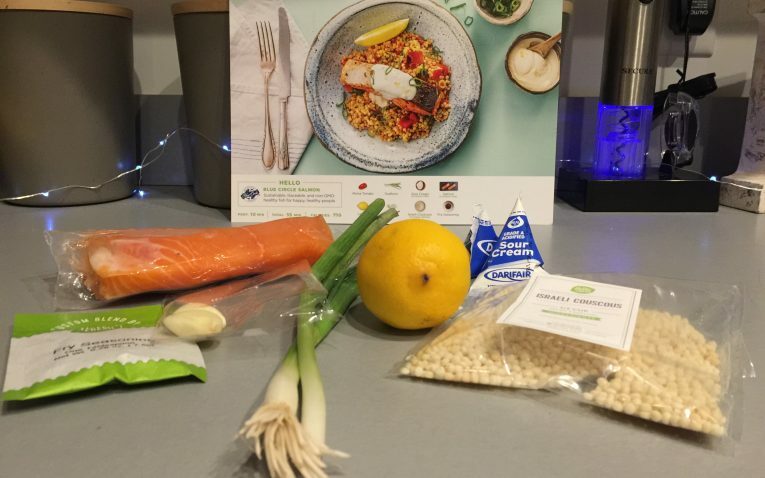 We personally tested HelloFresh's Recipes. 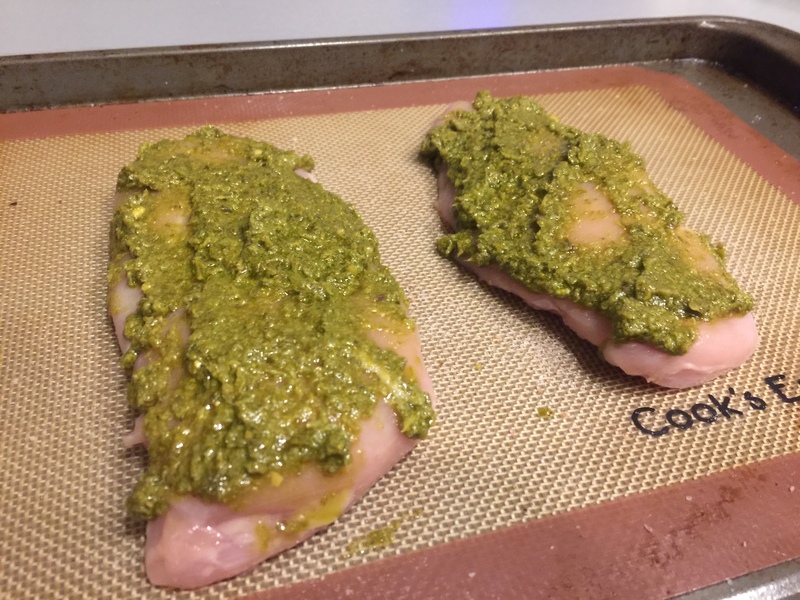 Read about our recipe testing results! 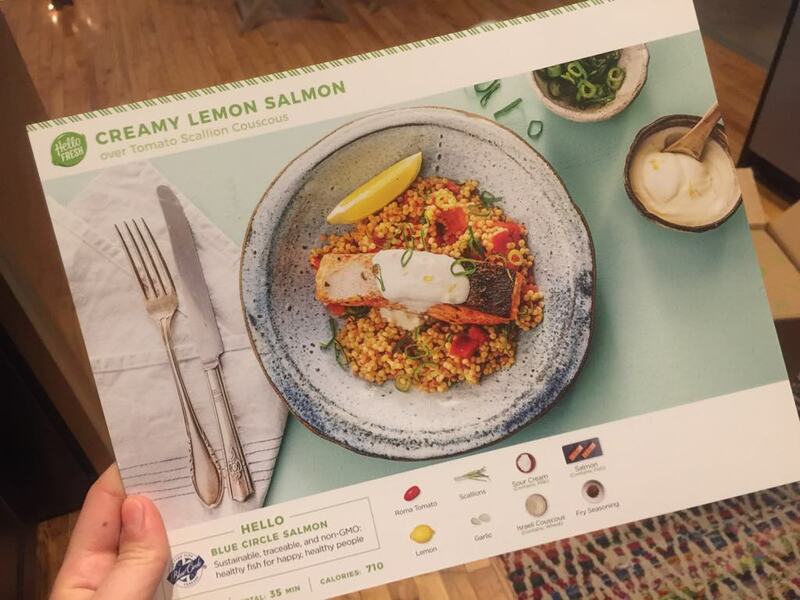 HelloFresh includes a large recipe card with a big picture of the final meal on the front along with the name of the recipe, the ingredients included in your meal bag, and the prep time, total cook time, and calories for that dish. On the backside, there is a section called “Start Strong” that gives your a useful cooking tip to really make your dish the best it can be. 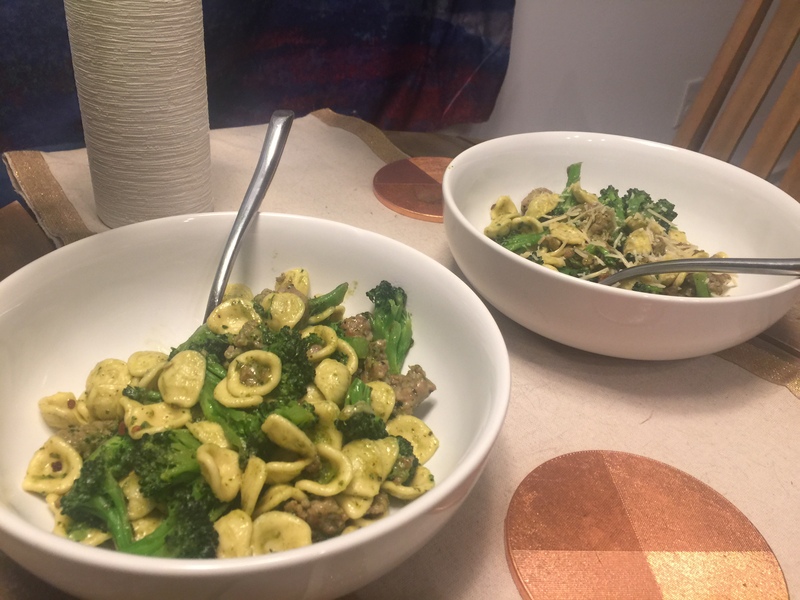 For instance, my Little Ears Pasta with Italian sausage, broccoli, and pesto states how to cook your pasta to al dente perfection. 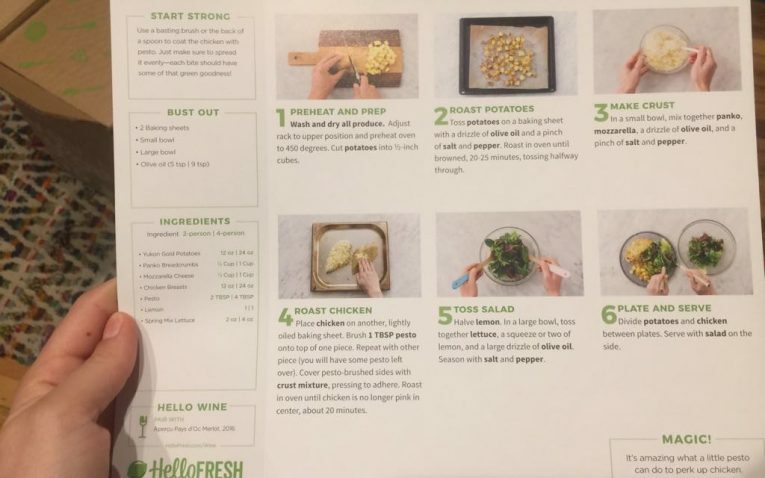 They will also tell you what cooking tools and ingredient extras you need from your own kitchen in the “Bust Out” section, and they list out the ingredients included and the measurements of each. All recipes have 6 step by step instructions with pictures. This makes it easy to follow the steps and you can see exactly what you need to do. You can also plate them to look almost exactly like the pictures dish if you wish. I really enjoyed every meal I made from my box. 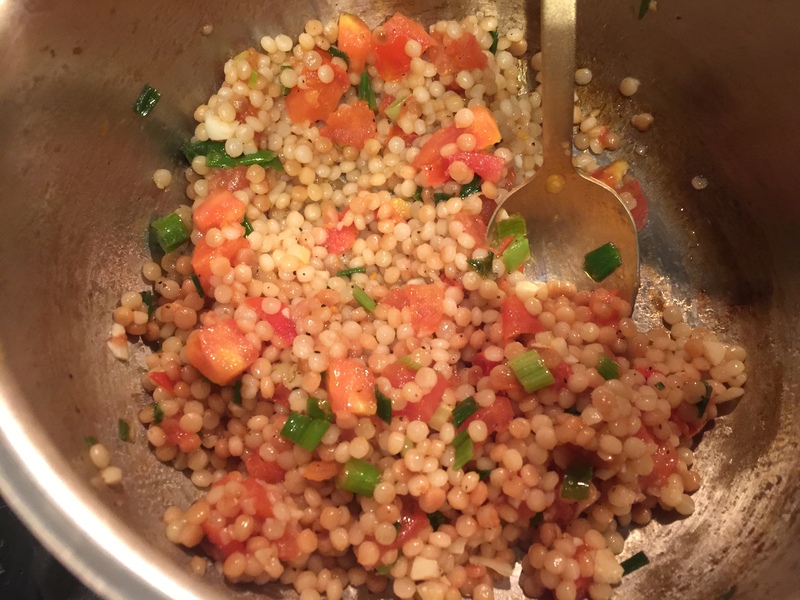 They were all flavorful, easy to prepare, and quick to make. 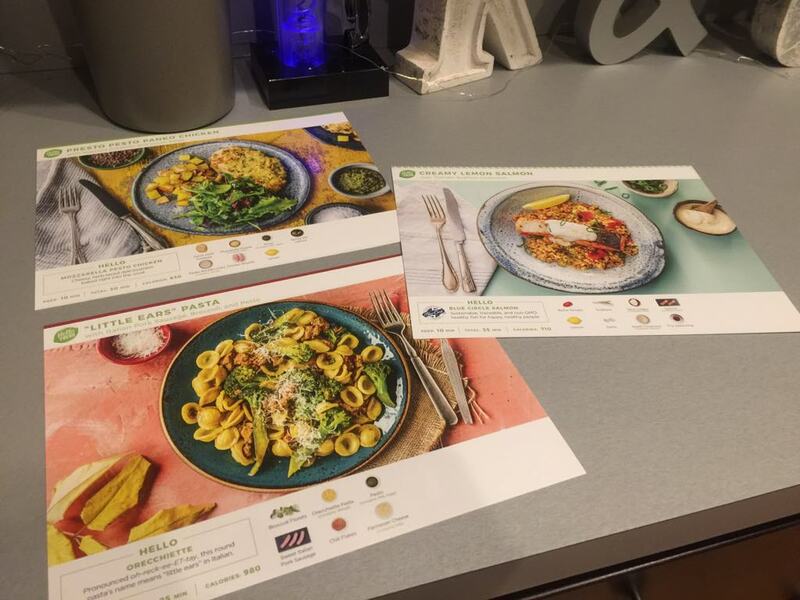 The recipe cards were easy to follow and the 6 step process for each recipe was a great and consistent format. 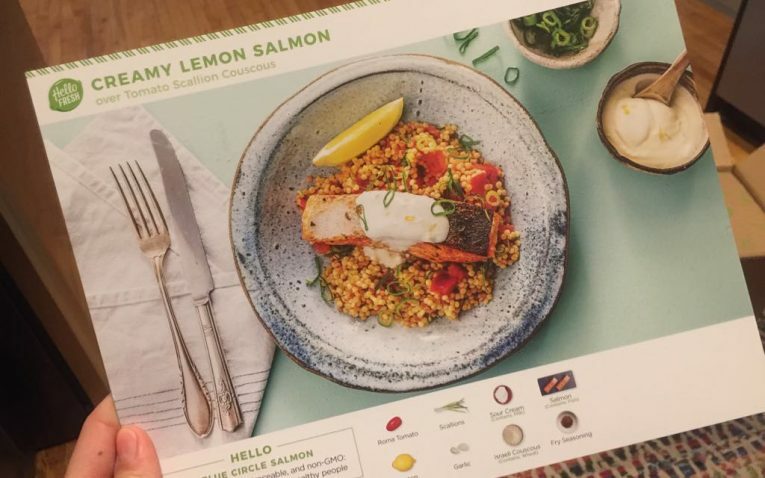 One of the only things I can knock HelloFresh for as far as their recipes, flavors, and instructions go is they don’t have specific measurements for salt and pepper. For me, this is not an issue and I cook all the time and have experience properly seasoning my food. However, if you are truly a beginner cook or struggle to salt and pepper your food properly, you may struggle with the seasoning steps. All the cards tell you to do it salt and pepper to taste. For pasta dishes, they say to salt the water, which is an extremely crucial step for correctly seasoned pasta, and most people significantly under-salt their pasta water. 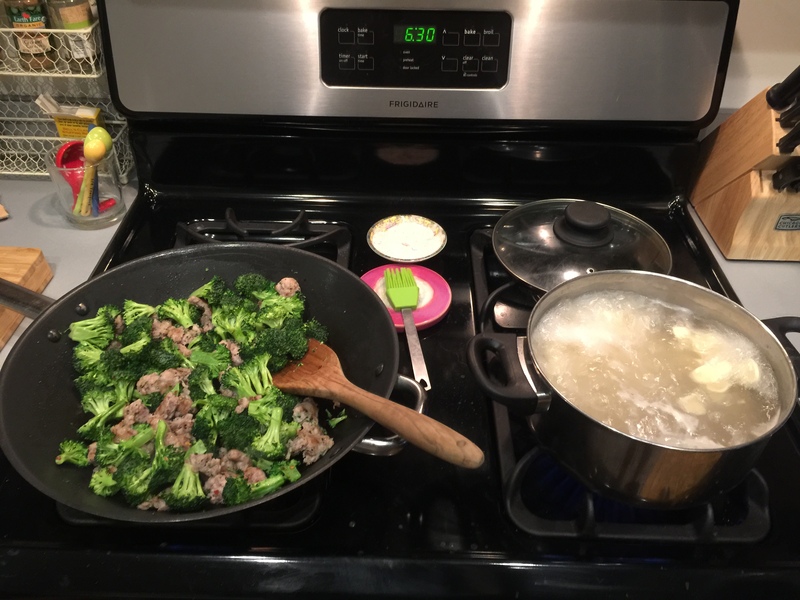 They don’t tell you how much water and how much salt to boil that pasta in – if you don’t know the right ratios, your pasta will likely come up under seasoned and bland. 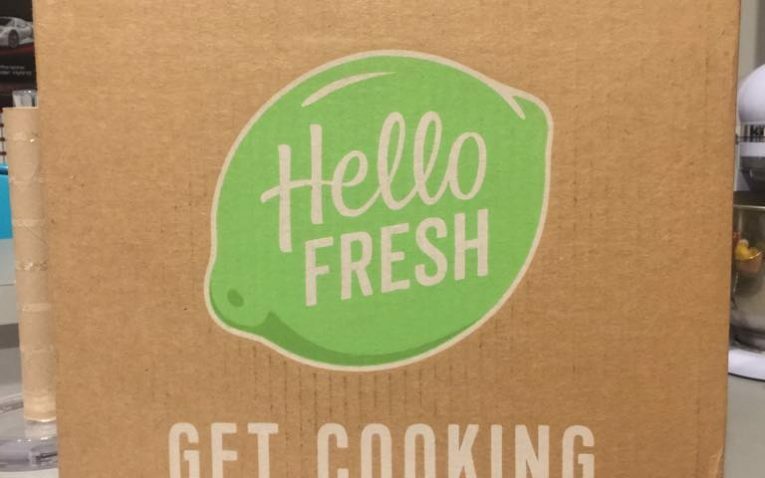 The HelloFresh box is made from thick cardboard and it is printed with their fun and colorful logo on the sides. It makes it easy to tell your box has arrived. 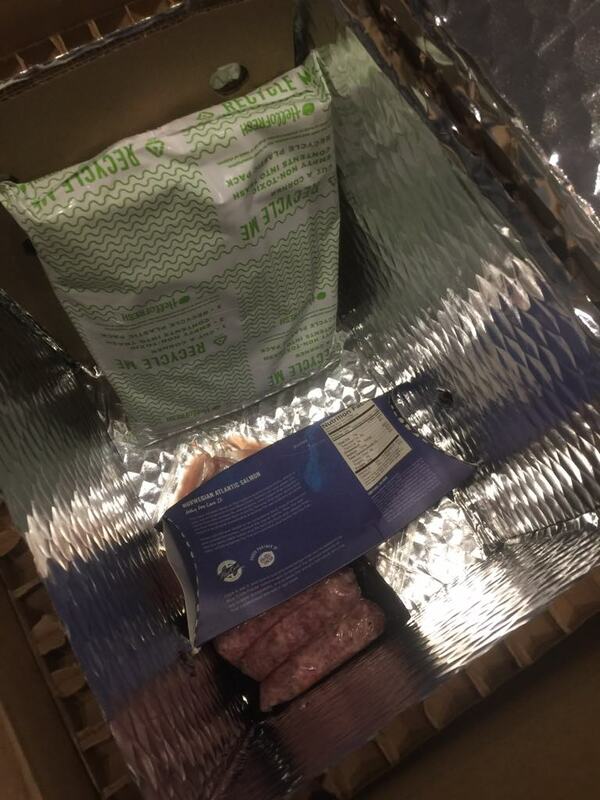 On the inside, the box is insulated and comes with a large ice pack at the bottom where your meats and fish are. When the box is opened, the first things you see are an envelope with coupons, the recipe cards, and a cute little booklet with info about HelloFresh. 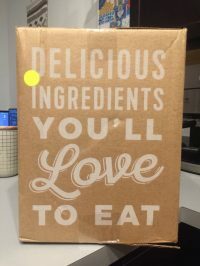 You pull up the insulated flap and your bags of ingredients are divided up by meal. 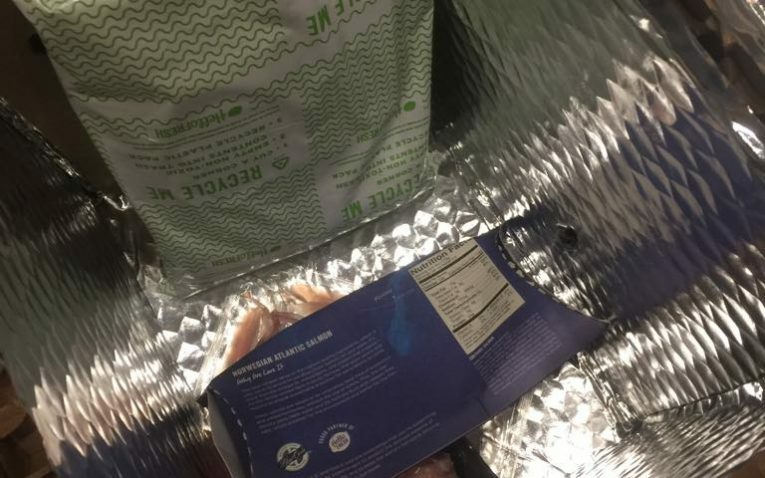 Underneath the bags, you will find the large cooler pack and your proteins. 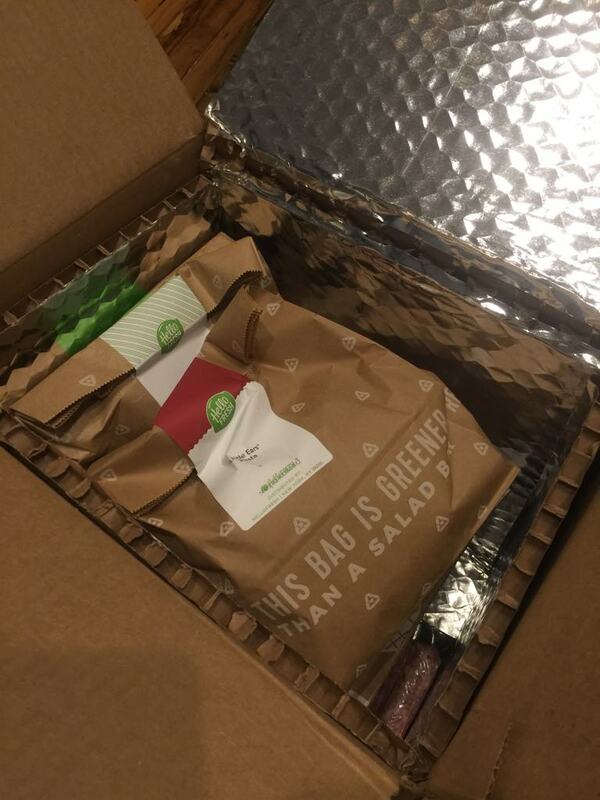 All the meats in my box were still perfectly chilled so I knew nothing was compromised. The little baggies of ingredients for each recipe made them easy to store in the fridge and keep all ingredients separate. I have no complaints about the packaging. Everything was done perfectly and I did not think there were any issues. Meals are delivered every week if you so choose. You can skip any week you want and skip back to back weeks. 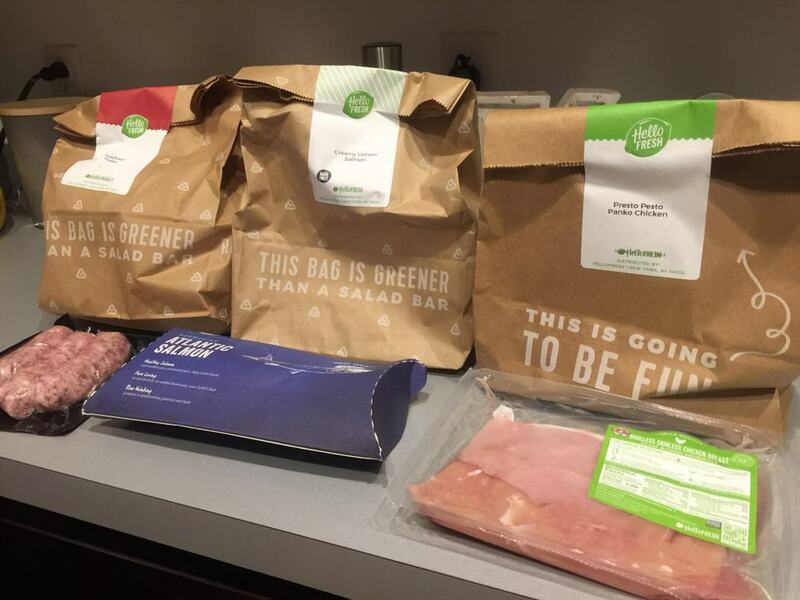 You can choose any delivery day you want, so you can choose to have your meal kit delivered on Monday, Thursday, Friday, etc. Having the shipping customization is a great feature other meal kit companies do not have. 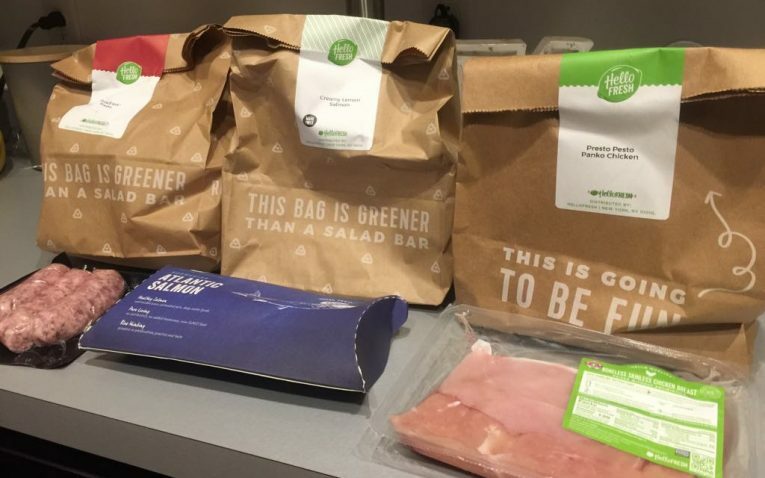 All of your meals for that week come in one box and are separated into bags to keep all your ingredients separate. Shipping is free with all plans, except for the 2 people 2 meal per week Classic Plan option – shipping is $7.99. They also ship all throughout the summer as well. Boxes and well insulated and have a large ice pack at the bottom to keep the meat chilled and safe. The only places they do not ship to are Hawaii and Alaska. 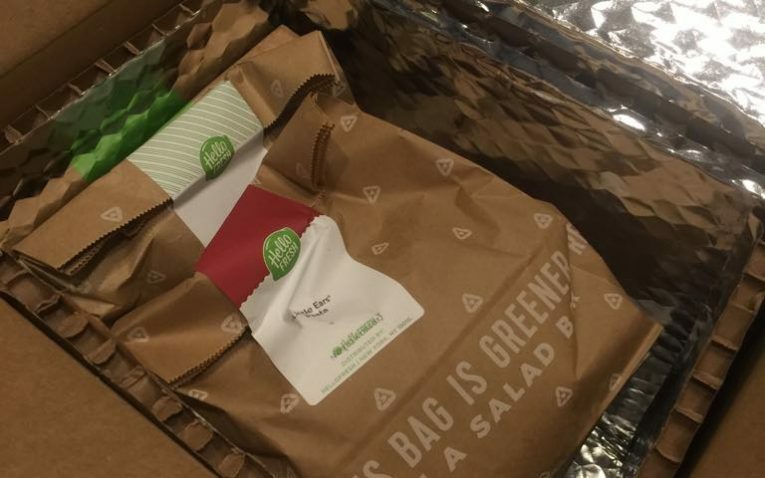 This is not ideal and it would be nice to include shipping to those states, but it is common across all meal kit services. HelloFresh has a great gifting option, which many other companies do not offer. 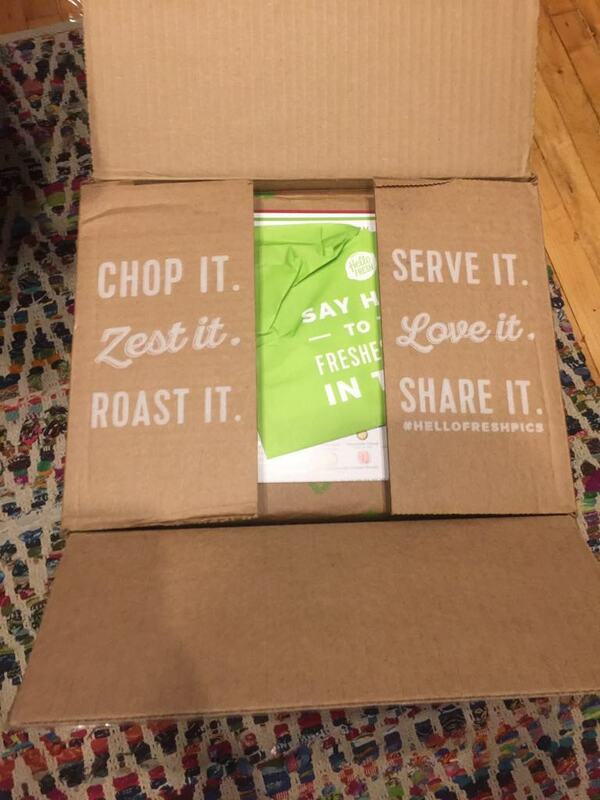 You get to choose a HelloFresh gift card and gift a one-time box to friends and family members. You can choose the Classic, Veggie, or Family meal plan. You can choose an option for 2-4 people and it will gift 3 meals. You can add a special note for your recipient and when the e-gift card will be sent to their email. 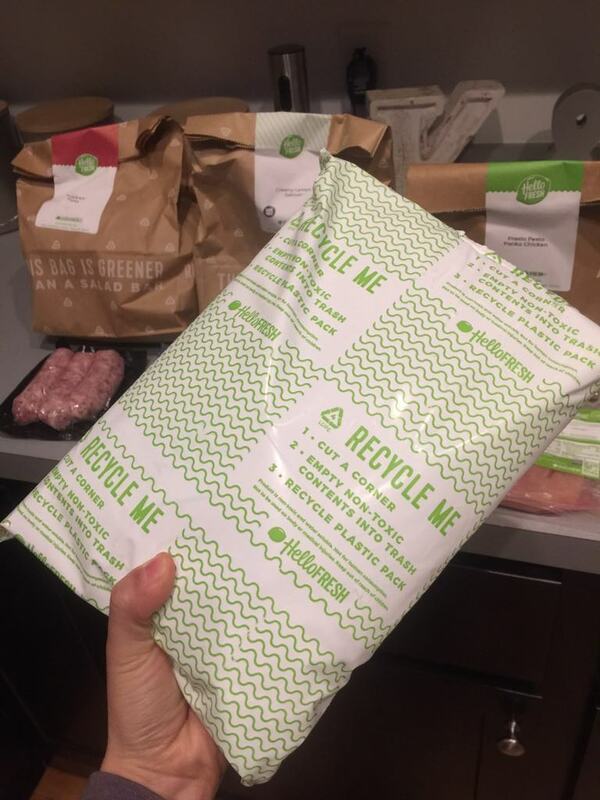 This allows the person you gift the meal kit to receive one meal kit with absolutely no commitment. You can only gift them one meal kit and cannot choose to send someone a meal kit for a longer period of time, like a few weeks or months. This may be a nice feature to have and would provide more options for gifting. They offer phone, email, and live chat support. I always love the live chat option because it is convenient and fast. They also have an FAQ page with a ton of helpful questions and answers. My first experience with the live chat was great. I was able to have my first delivery week changed by the support agent to fit my traveling schedule because I was not able to do this myself. It was easy, quick, and efficient and I was able to have full control over when I got my first box. A day later, and a few days before my box was to ship, I needed to change the delivery date again, and this is where I ran into issues. My second experience with the live chat was not as great as the first. I needed to change the delivery date for my first box again due to unforeseen circumstances. I contacted the live chat to have my box delivery changed to the week after. I spoke with someone very helpful and nice and they were willing to change my delivery date to the following week without any issues or struggles. I confirmed with the chat support at least 2 times that everything was taken care of, my date was changed, and all I had to do was pick out my new meals. I was assured it was a green light and I would not get my delivery until the week after. Unfortunately, that was not the case and I got an email the day before the meal kit shipped that it was indeed coming for the first week I choose. This means the person did not correctly change my delivery date and the box came anyway. This was frustrating since it was supposed to be taken care of. 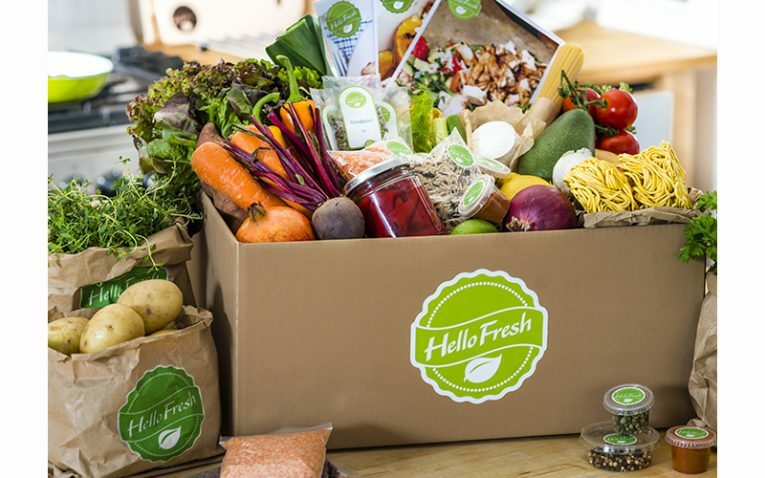 Shipping is free on all HelloFresh boxes. 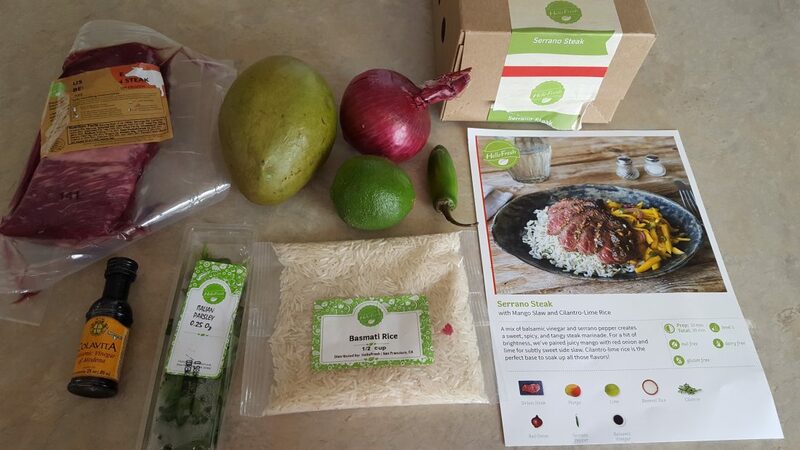 Veggie Box: Perfect for the vegetarian and offers farm fresh ingredients and delicious recipes. Comes with three meals per week with the option of two or four plates. Prices start at $9.83 per plate for the two serving plan and $9.08 per plate for the four serving plan. 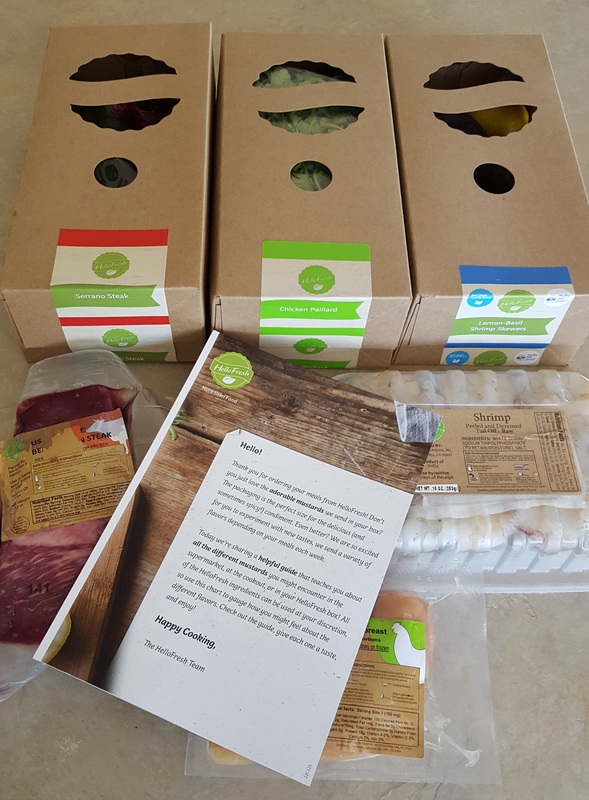 Classic Box: Comes with a variety of farm-fresh ingredients, fresh meats, seafood and fun. Can choose between three, four or five meals per week. 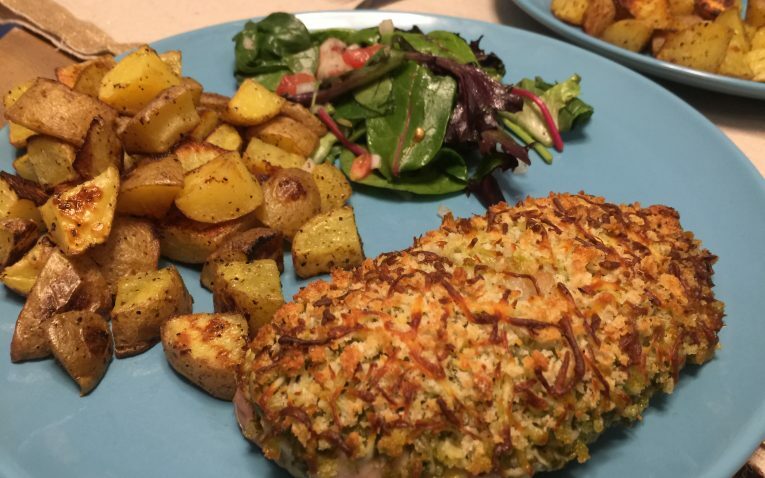 Three meal plan starts at $11.50 per meal for two people and $10.75 per meal for four people. Four meal plan starts at $10.61 per meal for two people. Five meal plan starts at $9.90 per meal. Family Box: This box is specifically designed for families with kids and automatically accommodates four people (two adults and two children). The two meal plan starts at $9.99 per meal. The three meal plan starts at $8.75 per meal – an excellent deal. 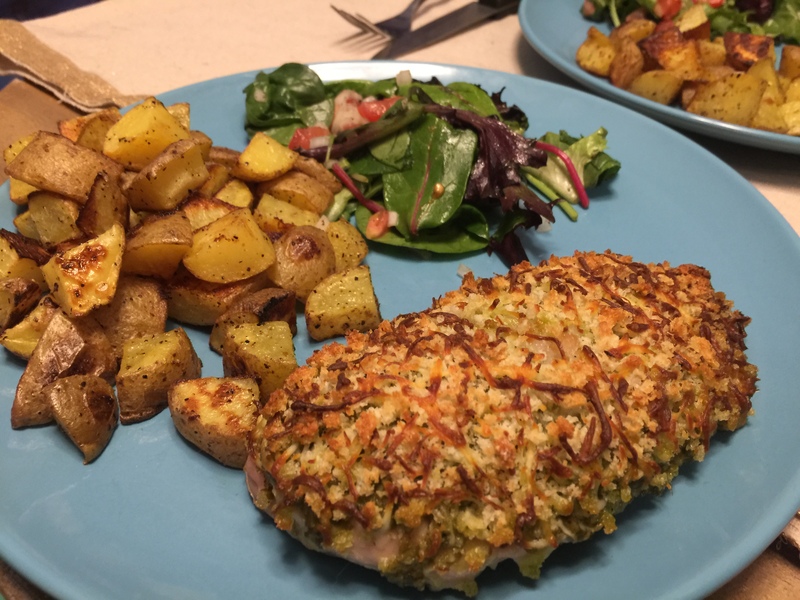 I would rate the recipes anywhere from novice to intermediate, with some recipes being family-friendly, specifically from the Family meal plan. Recipes are novice in the essence they have easy to follow steps, pictures, and cooking and prepping are not complicated. What takes a bit more finesse is the proper seasoning of food, which can take parts of the recipes into the intermediate category. For a novice home cook, salting and peppering food can take time and practice to get the hang of. 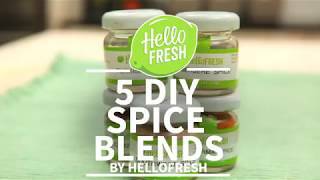 HelloFresh does not have specific measurements for salting and peppering ingredients – this can really make or break the dish. Lack of salt can lead to an underwhelming final product. 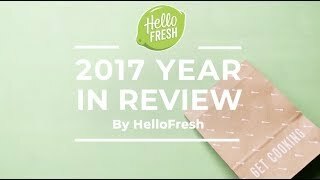 I think HelloFresh is most suited towards couples, roommates, and small families. Family plans are only good for 4 people, so if you have a larger family or kids who have large appetites, it will likely no work for your family. People who like traditional foods, but with some fun ingredients, spices, and elevation would enjoy these meals the most. People who also have some cooking experience would be best suited for this kit as well. 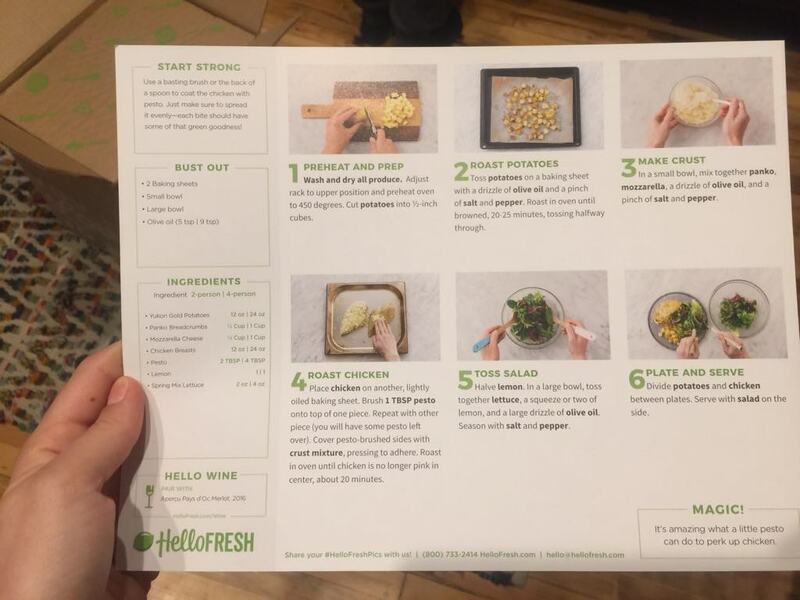 If you are looking for super healthy and lower-calorie foods and meals, HelloFresh will not be for you. Calorie count tends to be high and they do not have any lean or fit meal options to choose from. Also, vegetarians that are picky only have 3 meals to choose from and there any many other kits out there will a large vegetarian recipe selection. 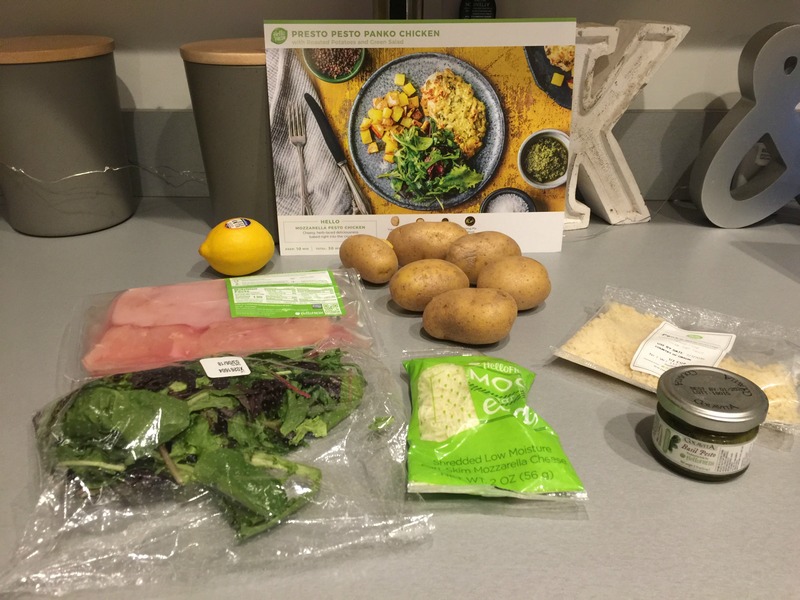 I love how flexible shipping, canceling, and skipping weeks is with HelloFresh – it is a truly hassle-free experience. You can choose from a good variety of meals per week, some more traditional and some much more fun and creative so you can experiment with new flavors. 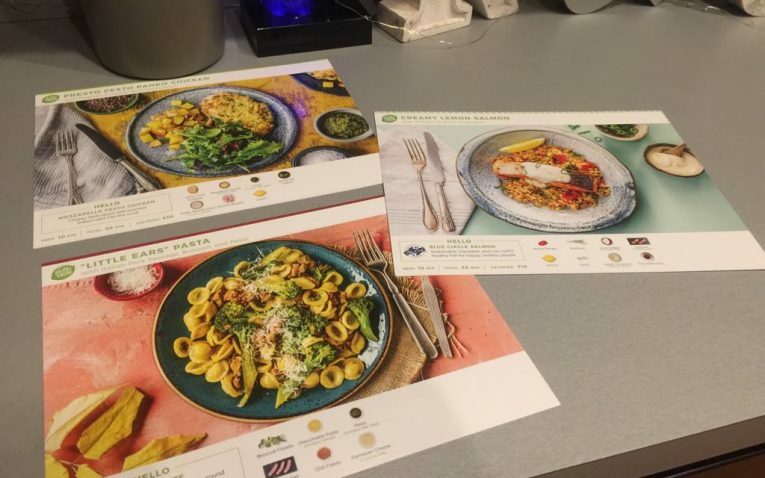 The recipe cards are bright, colorful, and easy to follow and I think the consistent 6-step recipe instructions for all recipes are a great feature for home cooks. Their family plan is also quite good and includes some very yummy and kid-friendly recipes they will love the cook and eat. It would create a fun bonding experience for the whole family. Portions sizes are quite large as well. You can easily have leftovers for the next day for a lunch. 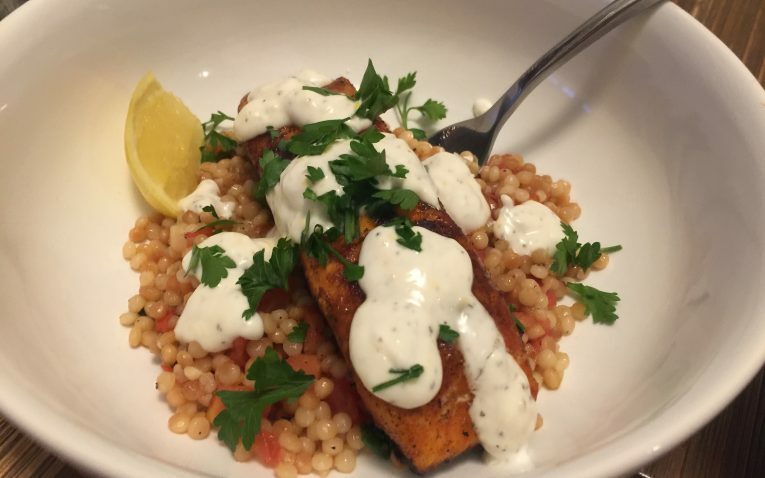 The flavors in all of my meals were super fresh and yummy. I would make all of the recipes again. There are not enough vegetarian options. There are also no vegan, paleo, or gluten-free options available. I did not like how the did not include salt and pepper measurements for seasoning food. For a truly new beginner home chef, this is an issue. I don’t like the fact they don’t have any low calories and light meal options. Most recipes are high calorie and not necessarily waistline friendly. They have some issues with their live chat support team not actually doing what they say they will do. This may present some issues for customers. Overall. 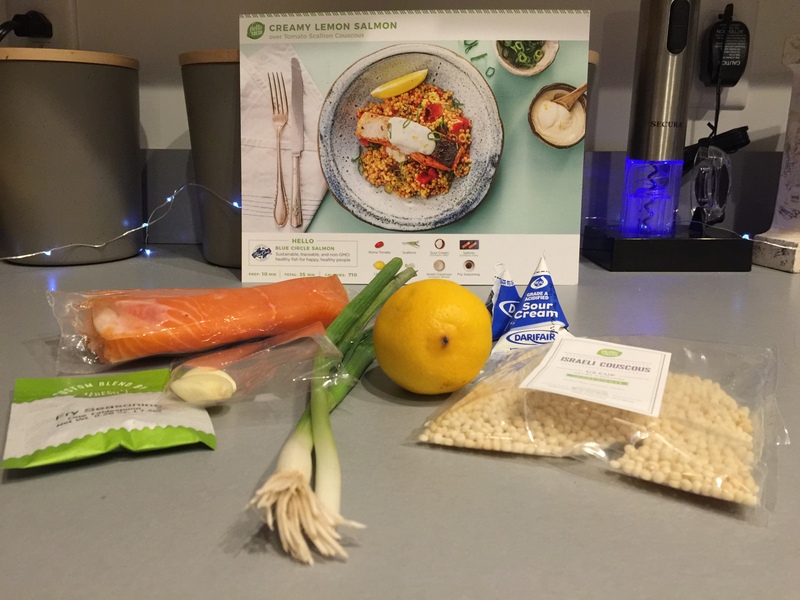 HelloFresh is a wonderful meal kit delivery option. 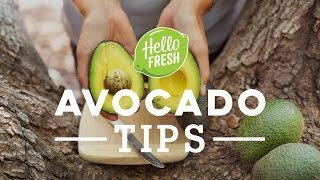 They have fresh ingredients, a great variety of recipes for non-vegetarians, and their meals are really delicious and easy to make. They are also easy to customize or take out some of the butter and oil they suggest using. 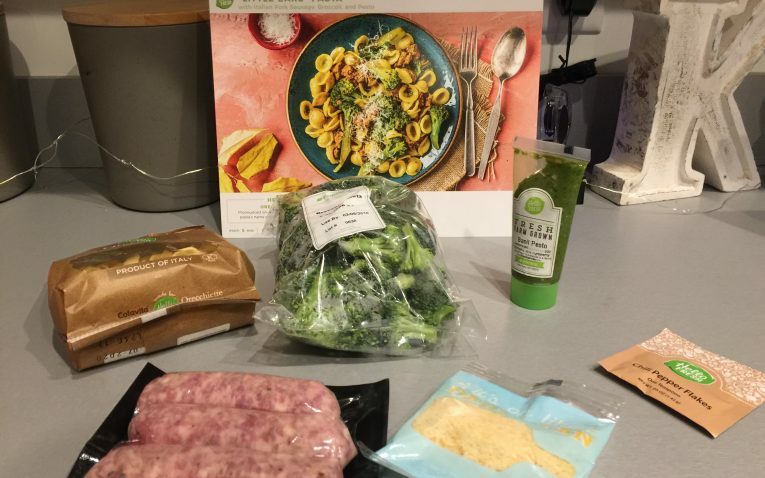 I would certainly recommend my friends and family try out HelloFresh, but only if they are not concerned about calories or using organic ingredients. 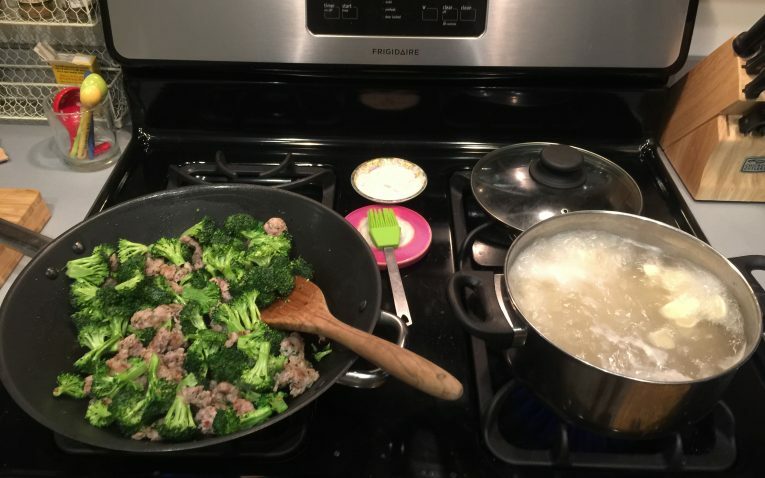 I would absolutely recreate the meals they gave me at home, again and again, they were that tasty! 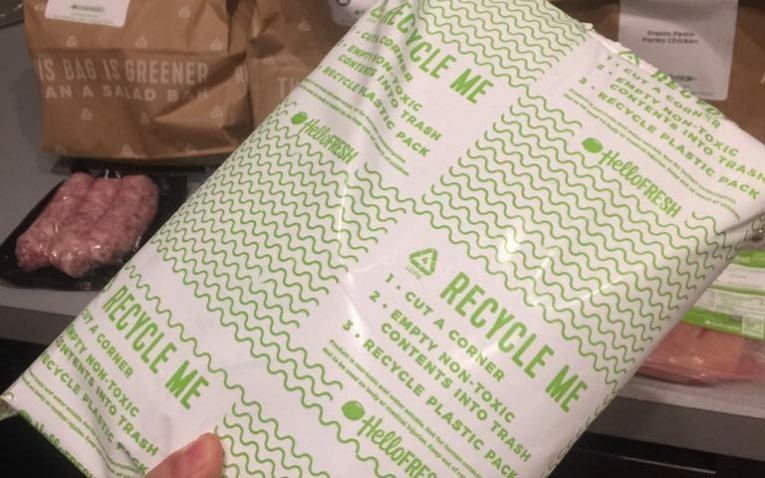 I would order HelloFresh on an ongoing basis if their ingredients were organic and non-GMO because that is what fits my lifestyle, but this is merely personal and dietary preference. But since they are not, I would not. That is not because they are not delicious meals though.